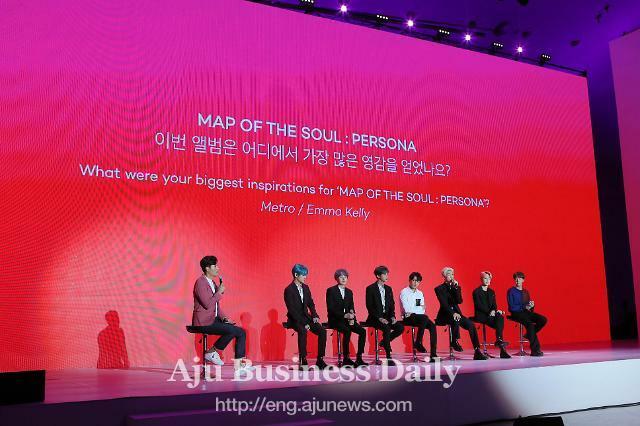 SEOUL -- A series of mysterious social media messages posted by Big Hit Entertainment has aroused curiosity among BTS fans. More than 55,000 fans were locked in serious discussion to catch its hidden meaning. "What do you do? What do you see?" 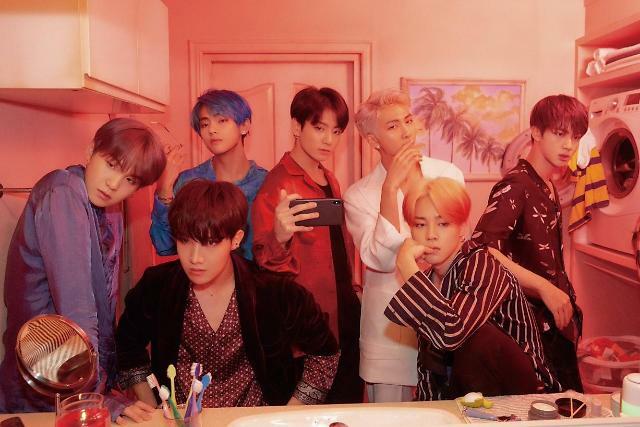 a tweet sent out by Big Hit at midnight Wednesday (1500 GMT) sparked a race of guessing among members of the group's international fan club, ARMY. The tweet included a hyperlink to a website that is mysteriously counting down to something. 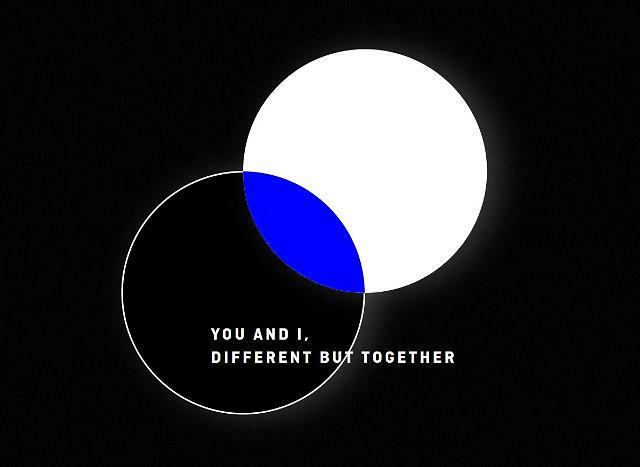 With no explanation, Big Hit left a vague message on the website saying: "YOU AND I, DIFFERENT BUT TOGETHER." According to the clock counting down on the mysterious website, Big Hit is likely to make an important announcement at midnight Thursday. The agency's tweet was retweeted more than 170,000 times and received some 388,000 likes. 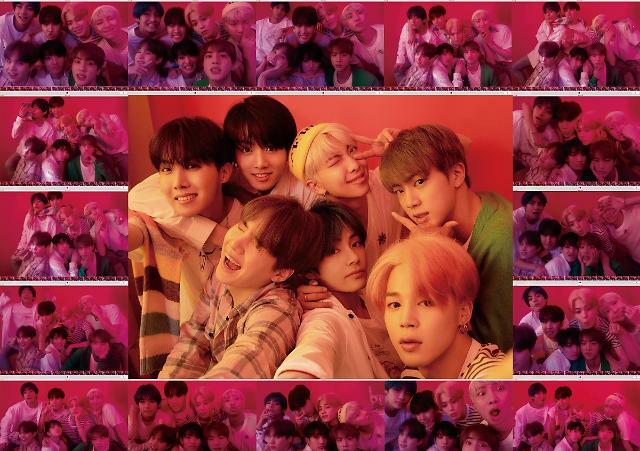 Big Hit said last year that it would launch a new boy group in 2019, with one official indicating that the new group may debut in the first quarter of this year. "OKAY BUT IS IT ABOUT THE NEW GROUP OR BTS COMEBACK OR SMTH ELSE?????" said AF, a twitter user. Another user "mooooch momo" said: "I think it has to do with a new group! They’re both distinct, unique and different but still together as part of a unit or family." 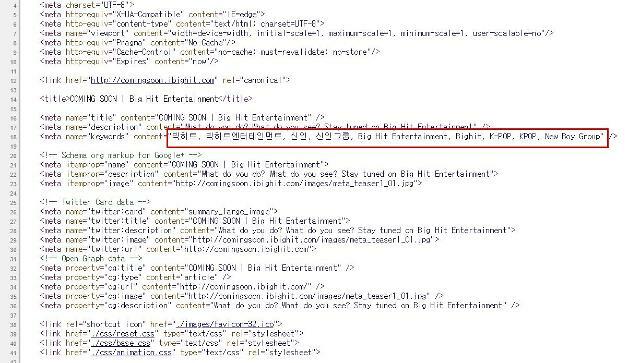 Some fans found critical evidence hidden in the website's web page source codes that included "빅히트, 빅히트엔터테인먼트, 신인, 신인그룹, Big Hit Entertainment, Bighit, K-POP, KPOP, New Boy Group". It was hidden from plain sight.